EC-gearing surpasses all earlier known kinds of gearings in Technical and economic indicators. Rotary support in azimuth and elevation RU 2018138185. Screw pair for eccentric screw-nut transmission, application RU 2018126056. 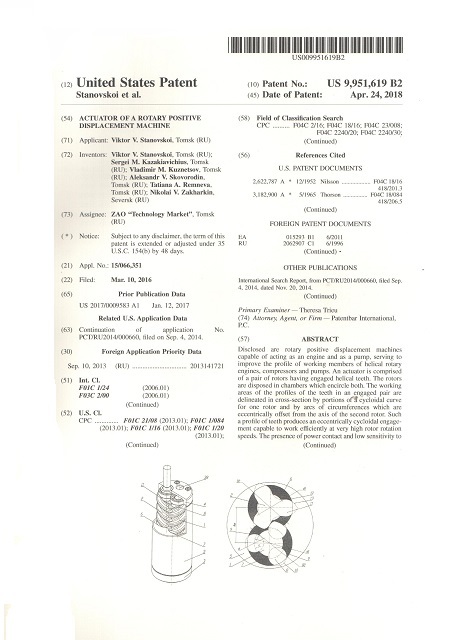 Patent US: US 9,951,619 B2 — 24.04.2018г. European Patent: №2532926 — 29.09.2016г. 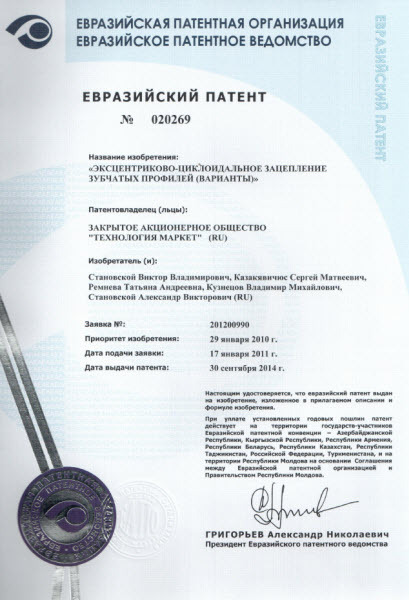 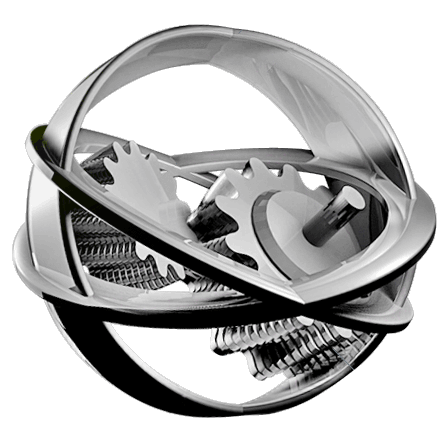 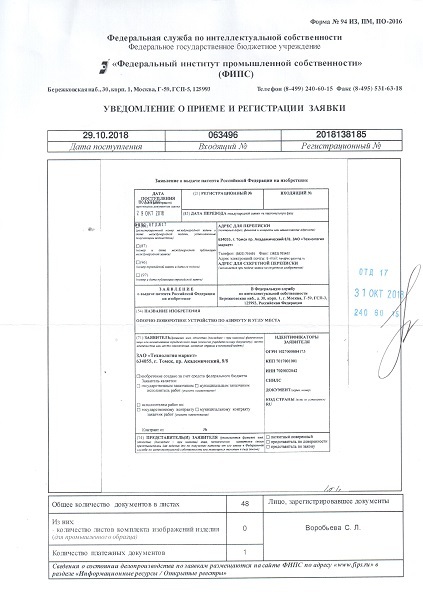 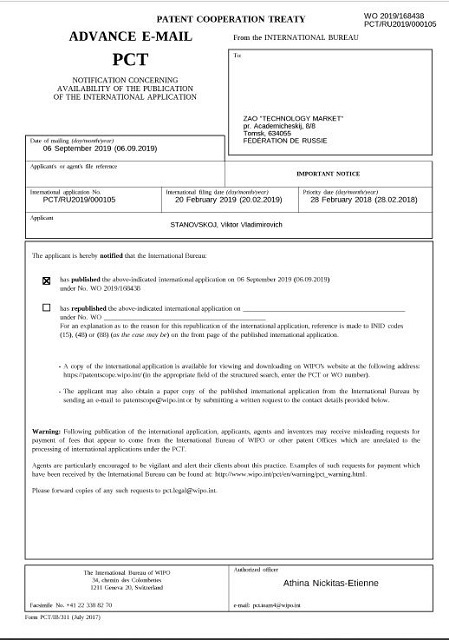 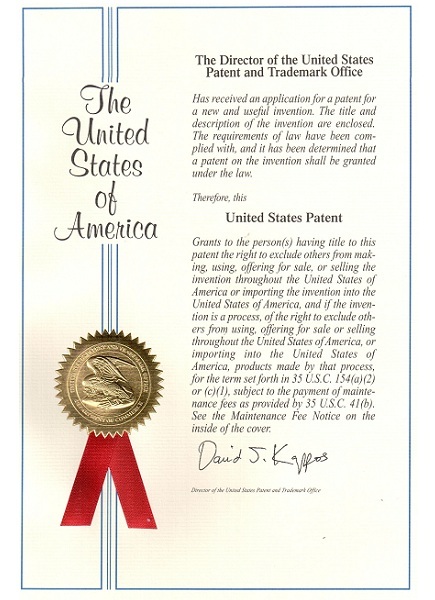 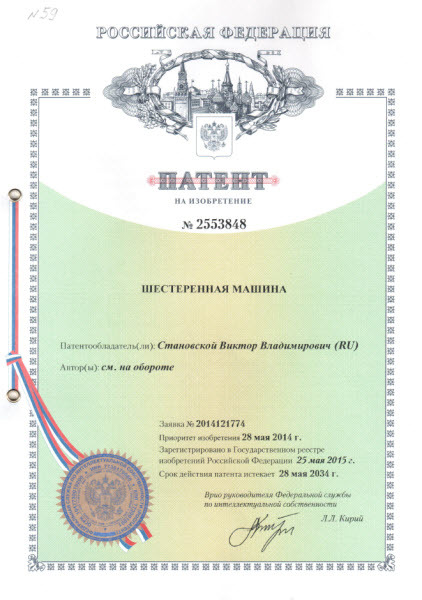 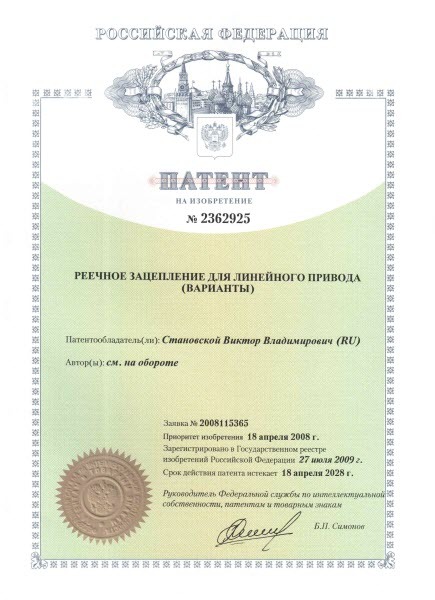 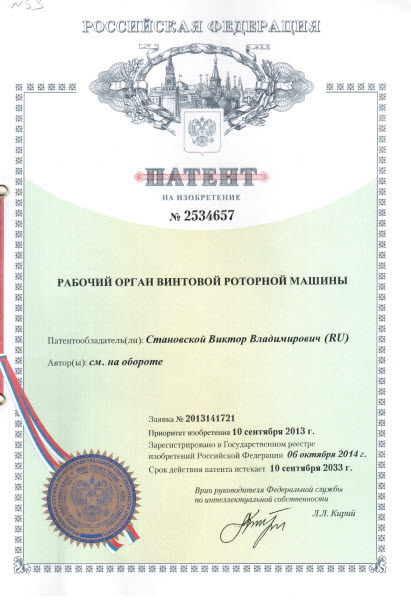 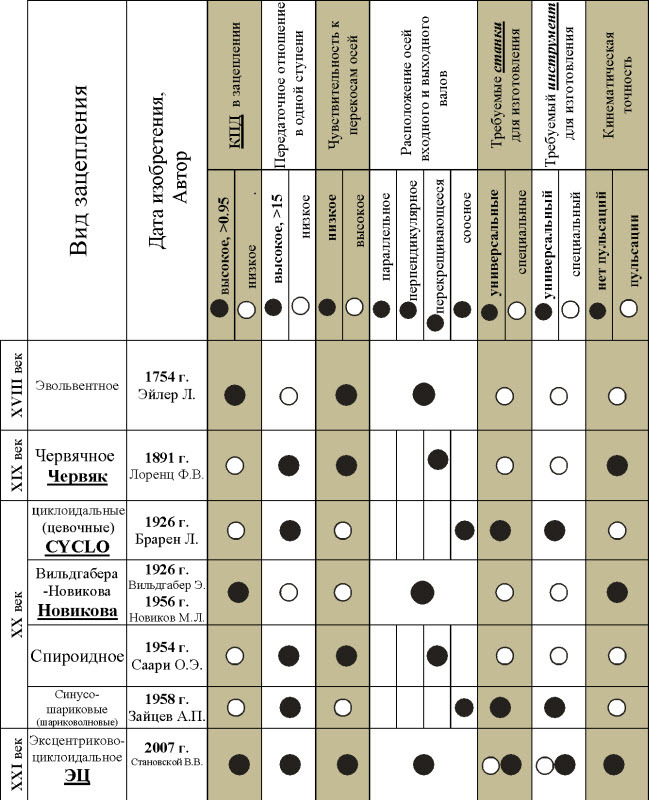 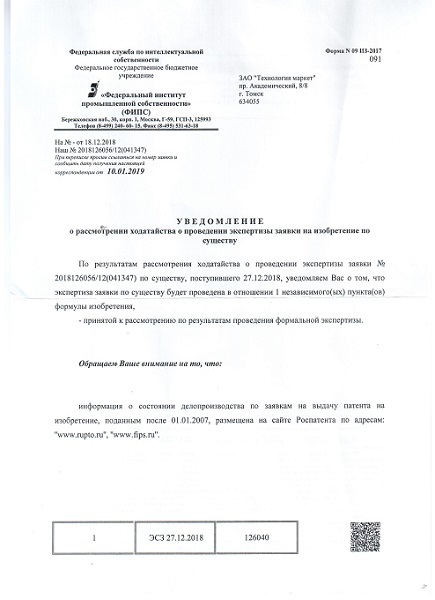 Eurasian Patent: EA020269 — 30.09.2014г. 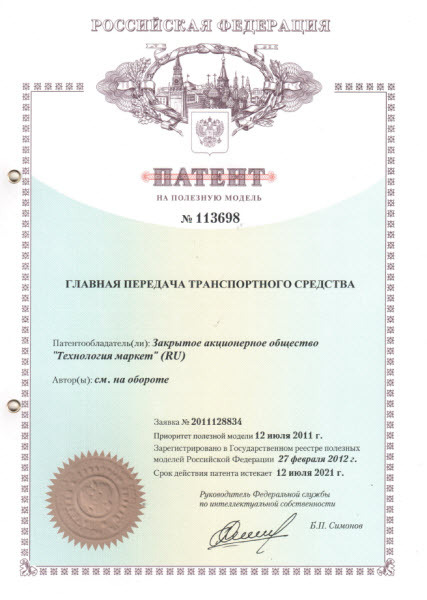 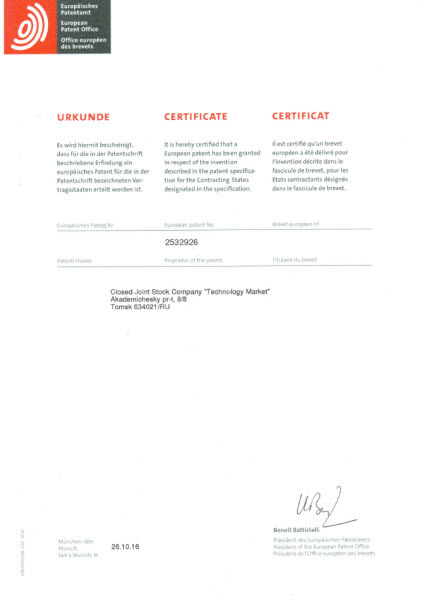 Patent US: US 8.789.437 B2 — 29.07.2014г. 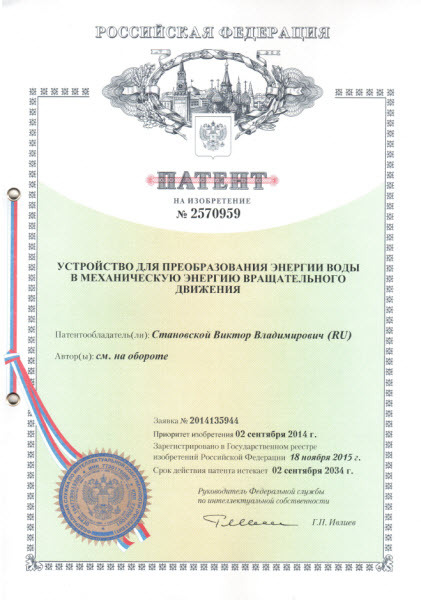 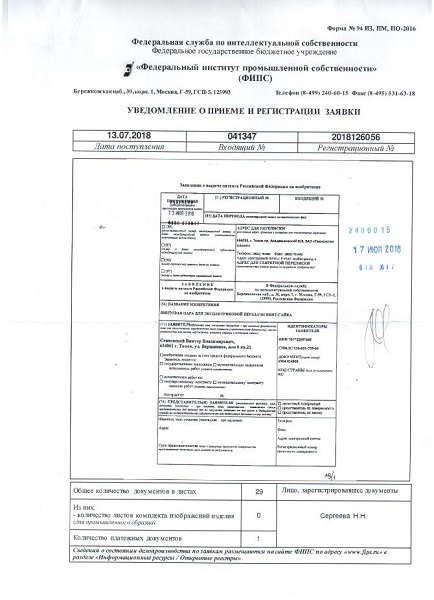 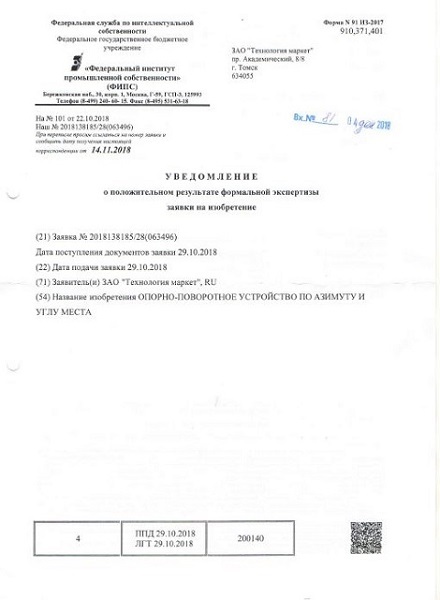 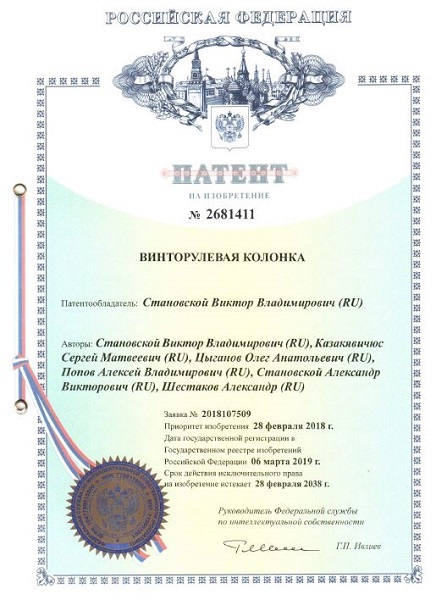 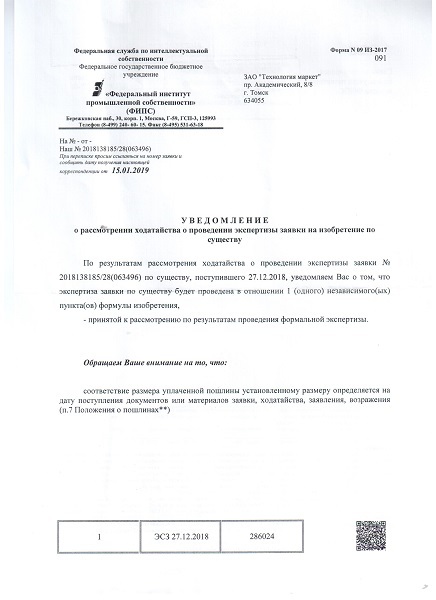 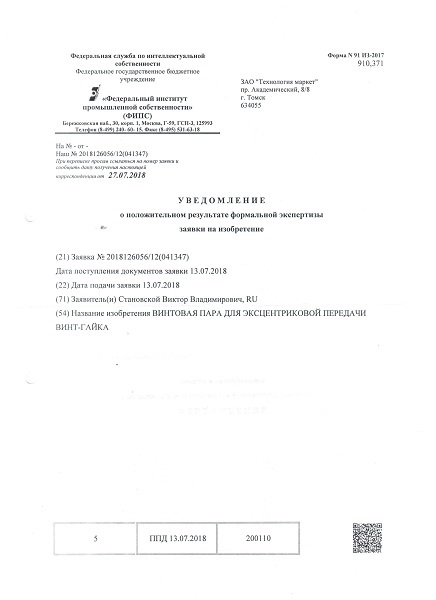 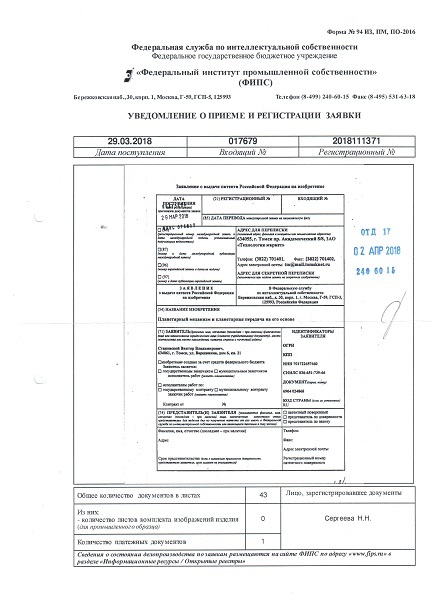 Eurasian Patent: EA019727 — 30.05.2014г. 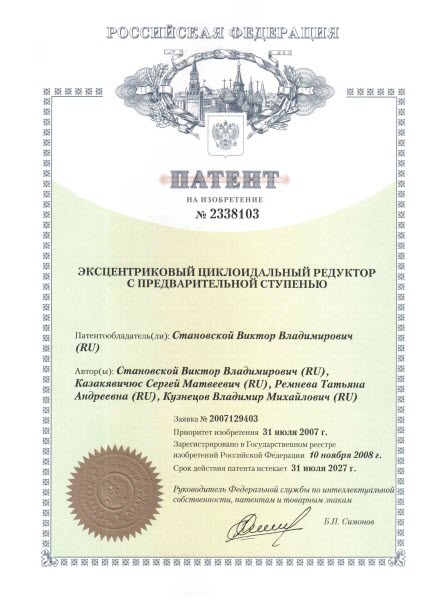 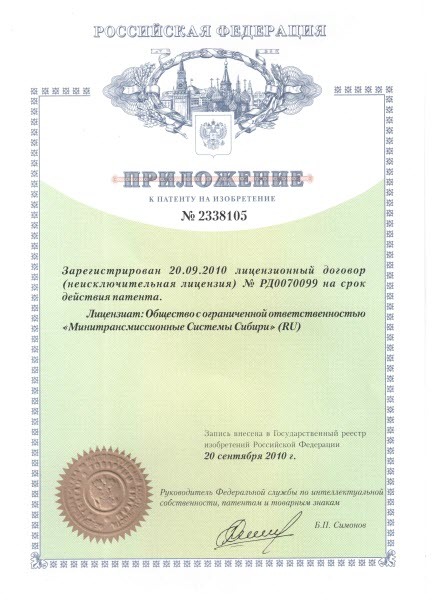 Eurasian Patent: EA015293 — 30.06.2011г. 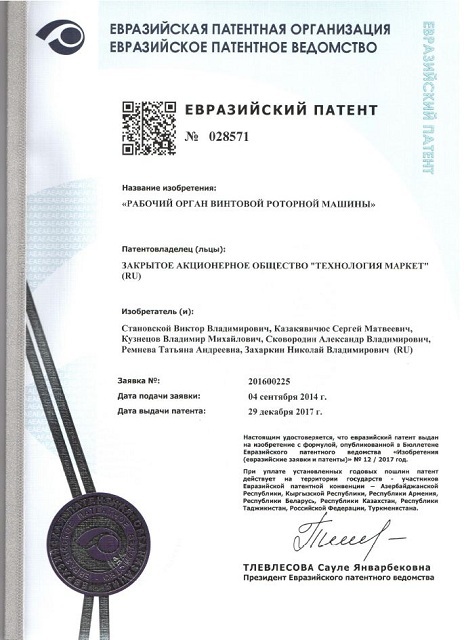 Eurasian Patent: №028571 — 29.12.2017г. 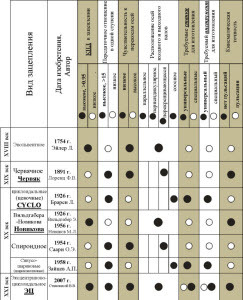 Vintorulovaya column. 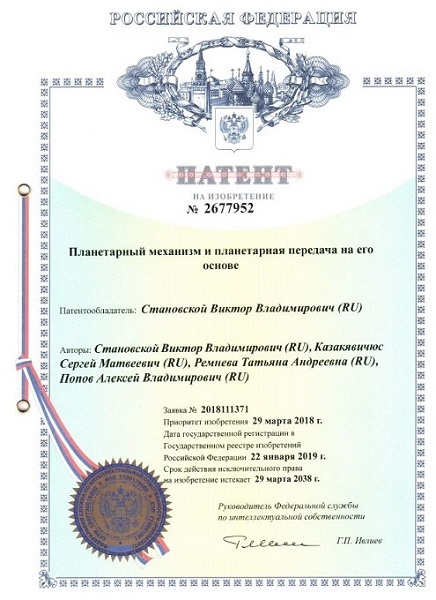 International application PCT/RU2019/000105 — 20.02.2019г.